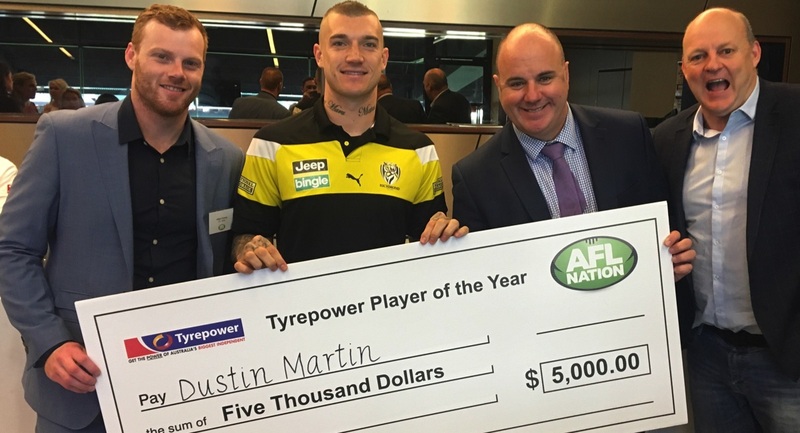 Crocmedia’s AFL Nation has announced its annual award winners with Dustin Martin named Tyrepower AFL Nation Player of the Year. The Richmond midfielder and Brownlow favourite polled top of the votes by the AFL Nation commentary team including Robert Walls, Adam Cooney, Liam Pickering, Kane Cornes, Tadhg Kennelly and Terry Wallace for his career-best season performance this year. In other awards, key Essendon forward Joe Daniher was named AFL Nation Look Up and Live Mark of the Year winner thanks to Energy Safe Victoria. St Kilda skipper Jarryn Geary was named Toro AFL Nation Tackler of the Year. The Ray White AFL Nation Coach of the Year award went to Swans coach John Longmire and the Foodworks AFL Nation Local Hero of the year was awarded to Merinda Drake of Traralgon for her commitment to the health and wellbeing of the elders in her community. 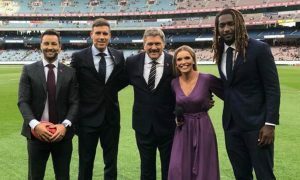 AFL Nation is produced by Crocmedia and in its first year under a new AFL rights agreement was broadcast to over 200 markets across the country and streamed live on aflnation.com.au and afl.com.au. 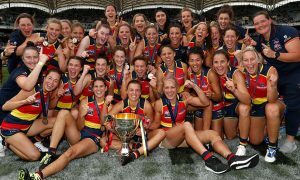 AFL Nation reached 544,000 listeners each weekend across the season, on top of its audiences on afl.com.au and aflnation.com.au.